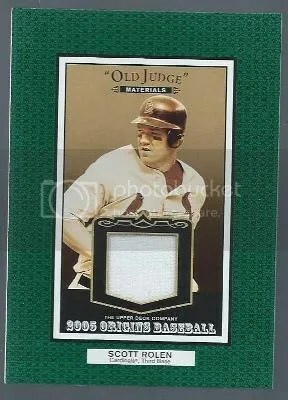 This contest is for a Scott Rolen 2005 Upper Deck Origins Old Judge Materials Jersey. Good luck!!! This contest will end Friday, August 22, 2014 @ 8:00 p.m. EST. I’ve said this before, and I’ll say it again. Someday I hope to own a card from the original Old Judge Tobacco set. Being some of the first mass produced baseball cards makes these super rare and expensive. 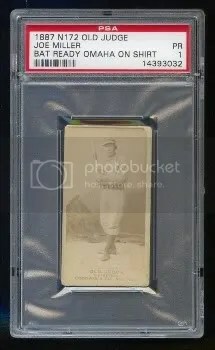 While browsing eBay I came across a Connie Mack from this historical set. Mack has at least two different cards and you barely ever see one thats real. Most of the time you’ll find posters and reprints featuring this card. In a way I guess you could consider this Mack’s rookie card. One of the many problems collectors have with these cards is that they are usually found trimmed. You can clearly see that with this Mack at the bottom of the card. Even though this card has been altered, it still sold for over $500.00. 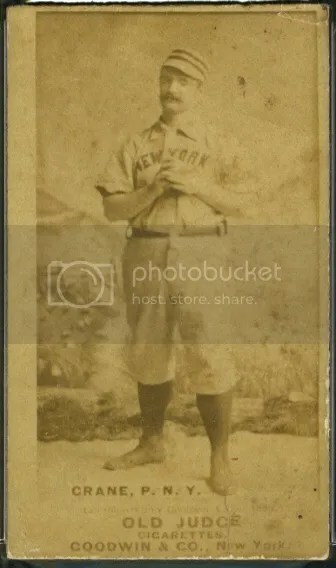 Every time I see a reasonably priced Old Judge card at a show, I quickly find that it has been altered. 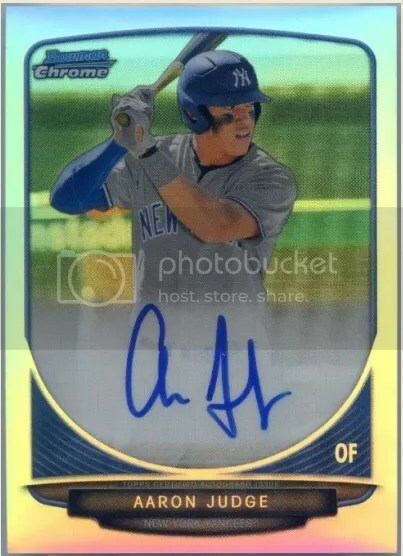 Topps will soon be releasing a product called T206. One of the big hits you can pull is a Ty Cobb booklet which features an original Cobb T206 on one side and a cut signature on the other. 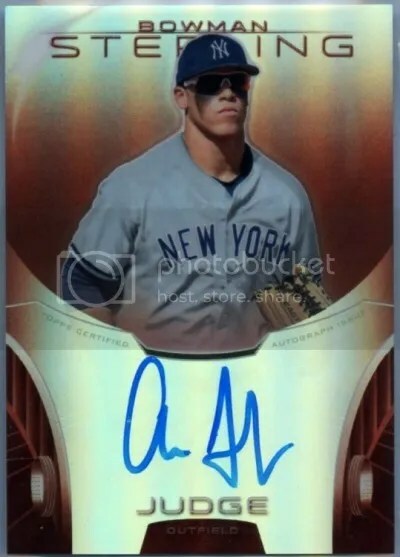 I’d like Upper Deck to revive their Old Judge product and do something like that. If they made a Connie Mack card like that Cobb, I’d probably go crazy! One of the ways I obtain topics to blog about comes from browsing various forums reading what collectors are talking about. Last night over at the Collector’s Universe forum I saw a collector showing off a new addition to their personal collection. A few months ago they came across an Old Judge collection and purchased this card of Joe Miller. After making the purchase, they discovered it was a new pose that had never been seen before. When sending it in for grading, PSA even wanted the owner’s approval for the pose description. I’m glad to see these discoveries still happening after all these years. 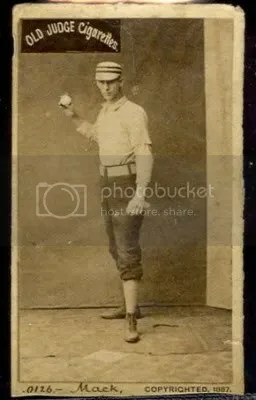 I don’t collect a lot of vintage cards, but I’d love to add an Old Judge tobacco card to my collection someday. I’ve seen a bunch at card shows over the years, but they were either way out of my price range or were trimmed.